Apple iPhone has become one of the favorite mobile devices of millions of people around the glob. There are so many advantages as well as disadvantages in having an iPhone. The major drawback is that we will be forced to continue with the default network provider from where we purchased the phone. There are methods available on the Internet to unlock Apple iPhone. However, Apple’s terms do not allow us to unlock iPhone 3 and use it with another SIM/service provider. So here is a method to unlock apple iPhone with firmware 2.2.1. Before unlocking Apple iPhone, make sure that you have updated to the iPhone firmware 2.2.1. 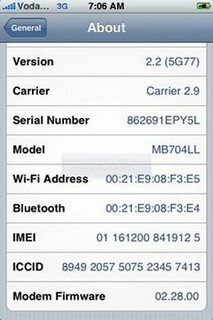 For this, you can use QuickPwn released by iPhone-dev team with the iPhone 2.2.1 firmware release. Open iTunes and select your iPhone from the device. Now click on restore button to upgrade you iPhone to version 2.2.1 (remember to hold shift button). Use the downloaded iPhone 3G ipsw for update. Now extract and launch QuickPwn 2.2.1. Click on next. Select the downloaded iPhone 3G ipsw and continue to verify the package. In the next step, you can choose to add Cydia and installer. Cydia and installer are recommended to enjoy the fully unlocked experience in iPhone 3G. You may also select to change boot logos. These instructions will be given in QuickPwn interface. Just follow them and continue to unlock apple iPhone 3G. 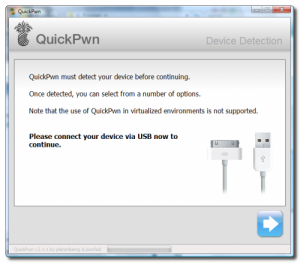 Once unlocking is completed QuickPwn will inform you that its was successful. Now download Yellowsn0w released by iPhone-dev team. Install Yellowsn0w by choosing Cydia or installer. Now you have successfully unlocked Apple iPhone 3G. Restart to use it with any SIM card of your choice. Note that the latest release, iPhone OS 3 will not work with this method. Update :Unlock iPhone 3G with OS 3.0 using Ultrasn0w.